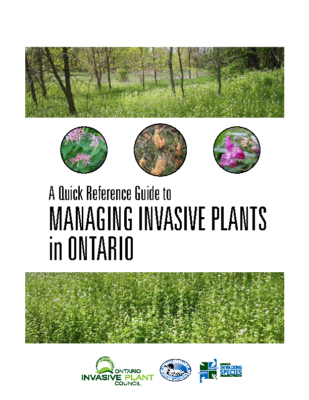 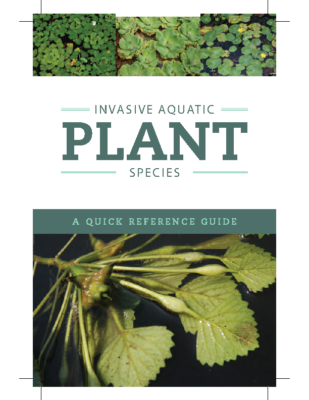 Handy picture-heavy guides containing identification features for Ontario’s most common invasive plants. 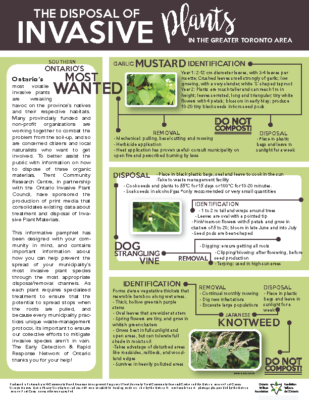 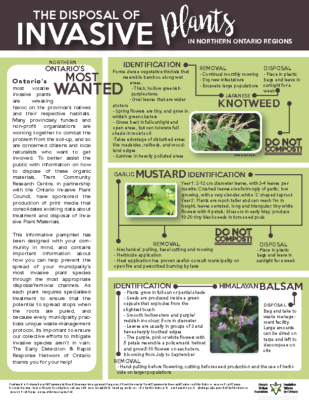 A brief guide to assist landowners in managing some of the most common invasive plants in Ontario. 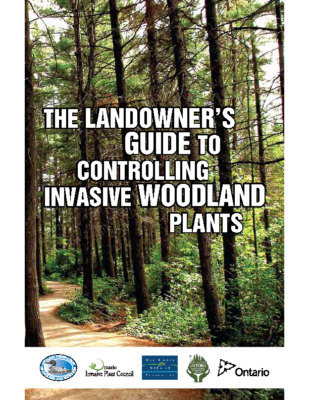 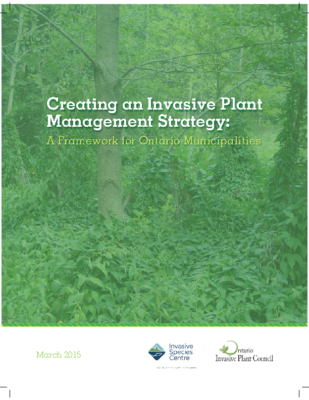 A how-to guide to help you create a comprehensive invasive plant management strategy for your municipality. 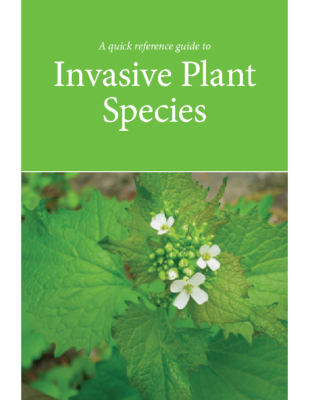 A brief guide to guide the management of the “usual suspects” of woodland invasive plants. 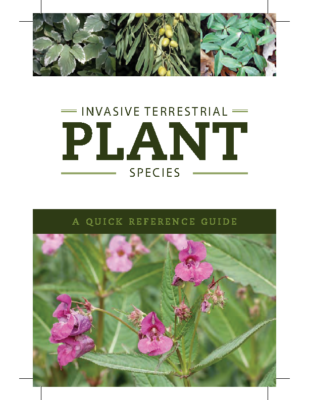 A general guide outlining steps for surveying, prioritizing, controlling and restoring areas containing invasive plants. 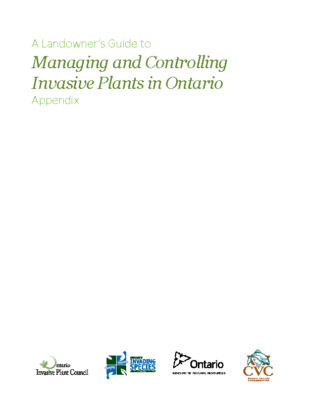 A thorough compendium of all businesses and organizations managing invasive plants across Ontario. 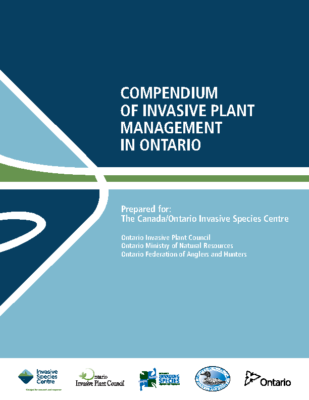 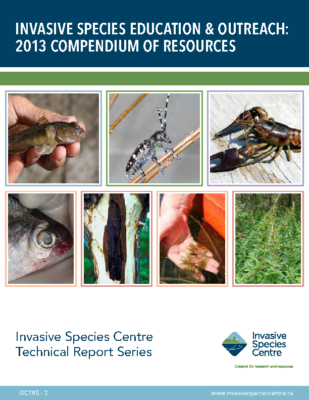 A compendium of all education and outreach resources available for invasive species in Ontario. 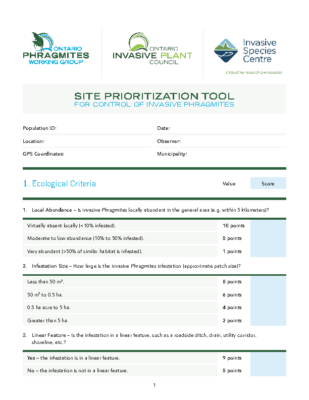 A scoring/prioritization tool created to help landscape-level management of invasive Phragmites populations. 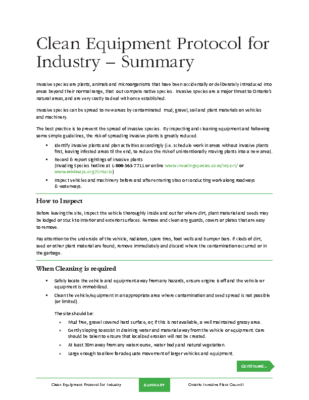 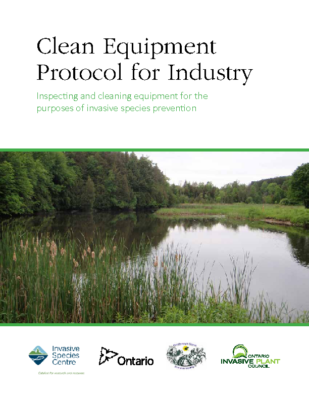 A document created to help prevent the spread of invasive plants by contaminated heavy equipment. 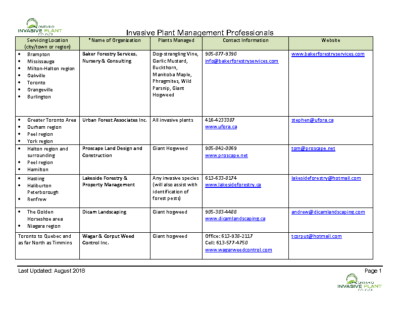 A list of invasive plant management professionals available for hire across Ontario. 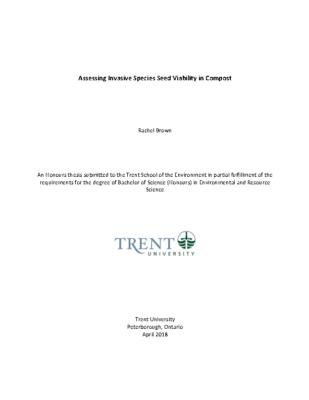 These research projects were created in partnership with the Trent School of the Environment and the OIPC through the Community-based Research Project. 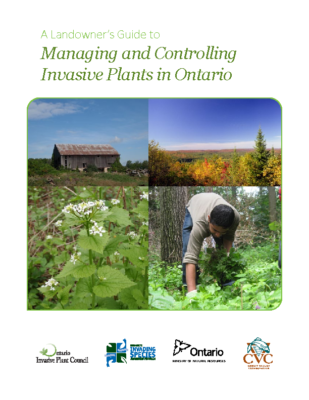 *These documents are presented to showcase the work by students on invasive plant disposal, we recommend referring to our best management practices for effective control and disposal of invasive plants.